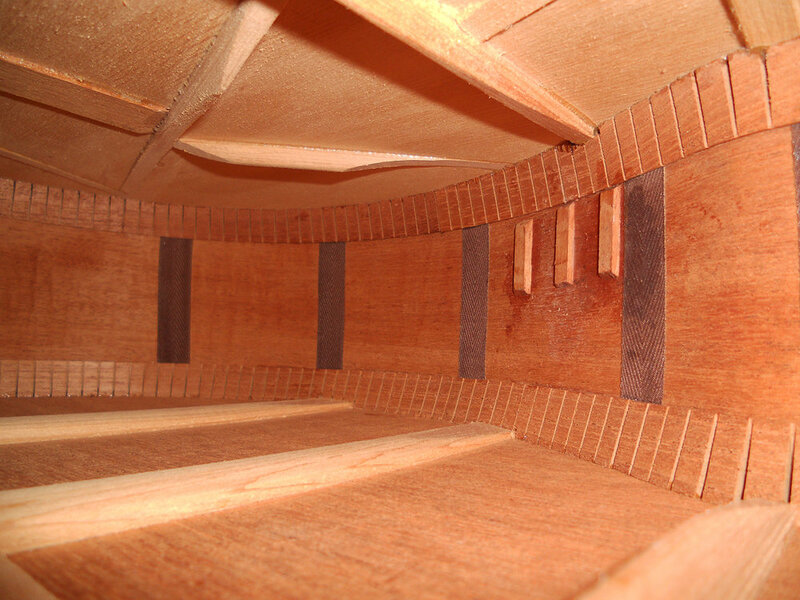 00-18 style earmarks and appointments in common with 00-18 steel string guitars of the same period, with a couple of exceptions. The Nylon string models have matching 14 fret body "shapes," but their necks join the body at the 12th fret. 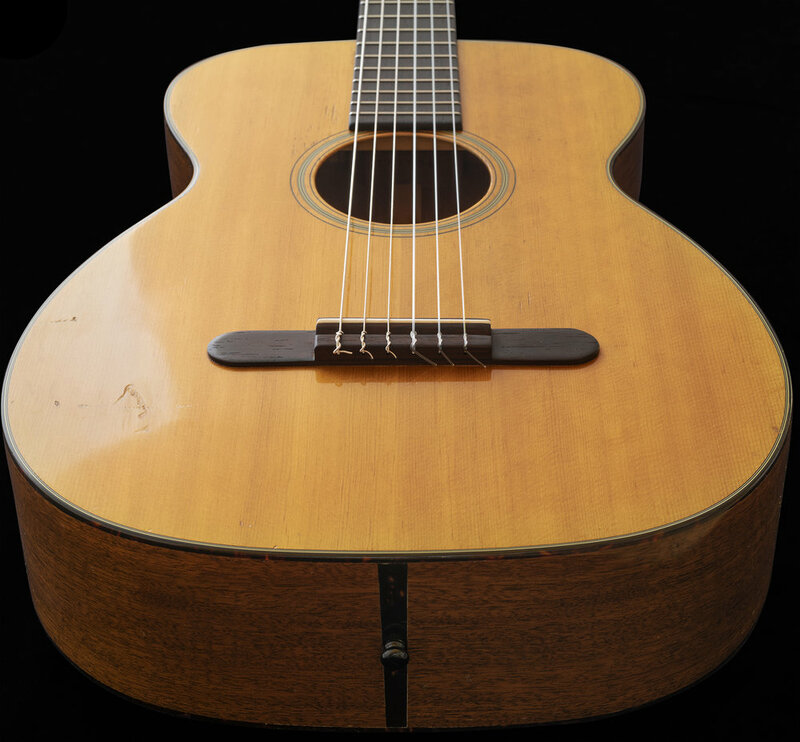 Additionally, except for some of their early examples dating from the mid-1930's, Martin chose to use a "fan" bracing pattern that was also "scalloped" on these G models, and they also have a 2-inch nut width and loop string bridges. Like their steel string brethren from the same period, these feature Mahogany neck and body construction, Spruce tops and Rosewood fingerboards with matching "loop" style bridges. I have examined, tested, serviced and set-up this instrument and found it to be factory original and in structurally solid condition. When I retrieved this guitar from storage and assessed it, I discovered a small hairline crack on the Bass side of the body which was addressed by a skilled and talented local luthier. The hairline was arrested, and 3 small cleats were placed inside for reinforcement, so kindly review the photos. Externally, no finish work was done other than lightly buffing the area as the crack was very tight and short. Otherwise, the guitar was found to be in excellent health and had no other cracks or any loose braces. Today, it feels and plays very nicely to me, and the neck is also in healthy condition as are the frets. The guitar exhibits usual signs of age and light usage as it has already lived a long life, but is ready to continue. I am rating the guitar a slightly conservative "8.3 out of 10" in overall condition. Kindly review the photos and please inquire if you have any questions. The CASE is a non-original but heavy duty, U.S. Made hard shell that I received with the guitar. 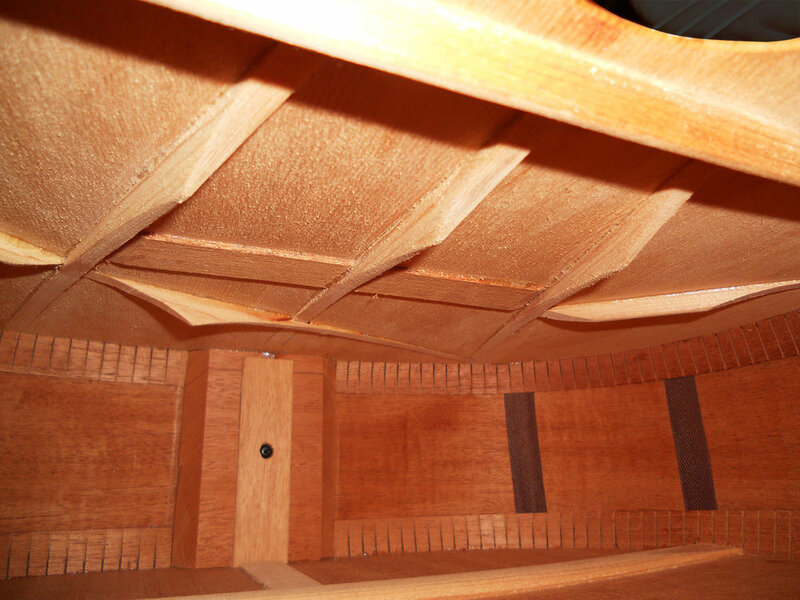 It is structurally solid and in "average" condition with normal cosmetic wear and tear. It has a fully functional handle, hinges and all of the latches are working. The guitar is a good fit and is well protected with the "arched" case lid, although the case is not very pretty in my opinion. The guitar has just been set up with Savarez Nylon strings. It was more than 25 years ago that this guitar was traded into my shop. When I received it, I discovered that I liked it and thought I might hold onto it. I was and still am enamored with Nylon-string guitar sounds and hoped that I might eventually take up a study of it, but that never happened. In fact, I don't recall playing the guitar until I recently found it in storage and brought it home for the 1st time. As the saying goes, "so many guitars, so little time." While running my Vintage store here in LA, I routinely bought and sold quite a lot of vintage and used Martin guitars. 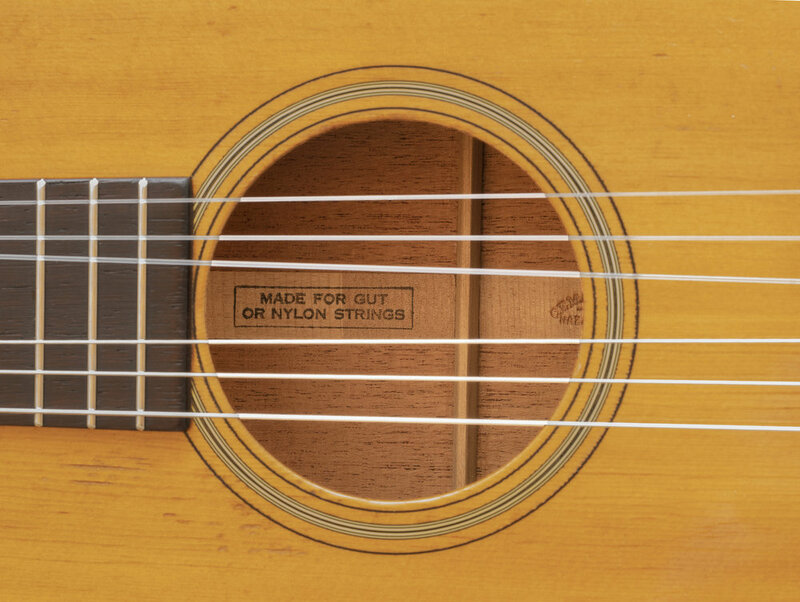 As I recall, I rarely encountered the Nylon string models, which seems odd as they played an important role in Martin's sales during the late 1950's into the 1960's. Folk artists and players alike often opted to learn on and play these models. 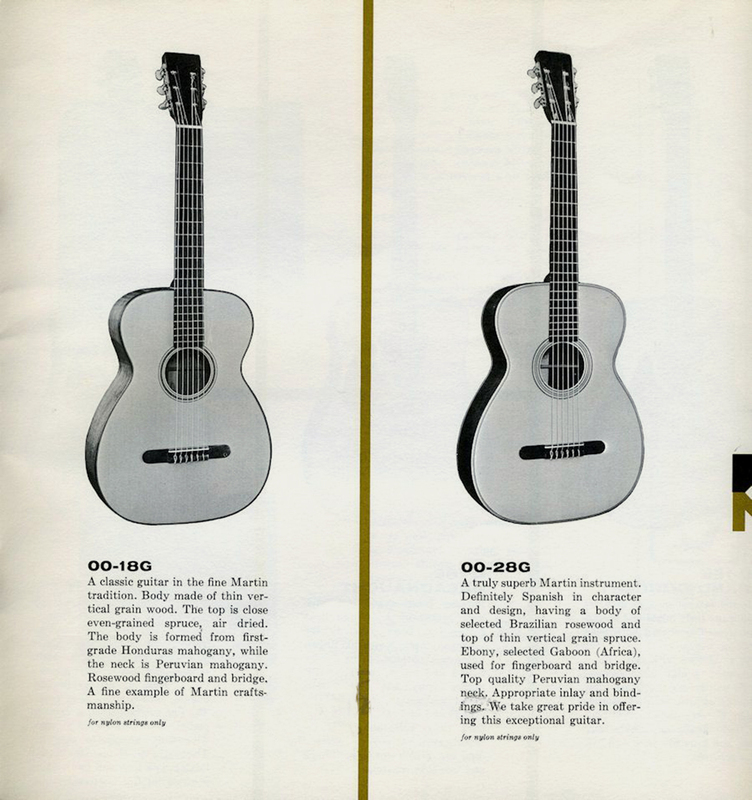 For example, according to Richard Johnston's Martin Guitars, Technical Reference book (a must have), in 1961, the sales of the 00-18G accounted for 16% of all of Martins guitar sales totaling 900 of the 5600 guitars sold. This guitar is now 59 years old and has been in my collection for more than 25 years. As such, it has also been spared all of the "circulation" that most vintage instruments being offered online today have undergone. If you feel that you might like having an alternative acoustic guitar sound for home or studio, then this nicely preserved and uncirculated vintage Martin might appeal to you as it did to me, so please inquire. Includes domestic U.S. shipping and guitar-specialty insurance that I provide.